Last weekend, Laurent Polito delivered a smashing performance in the World Poker Tour National Series. After a fruitful trip in Las Vegas, France-based poker pro Laurent Polito claimed another win in the WPT National Brussels. The battle took place at Grand Casino Viage in Brussels, Belgium. With this victory, Laurent Polito made a record-breaking achievement with 4 trophies in 30 months. Apart from that, Laurent Politos career resumé includes 3 other WPT National titles, two of which he won in the Paris leg of the series in January 2013 and December 2014, the 3rd in the 2014 WPT National Cannes. Admittedly, he has come a long way to claim the 2015 WPT National Brussels title. As a reminder, the Main Event of this poker tournament attracted 428 participants. The ultimate day with 17 players remaining was played on Sunday. Only 9 of them would make it through the final table. 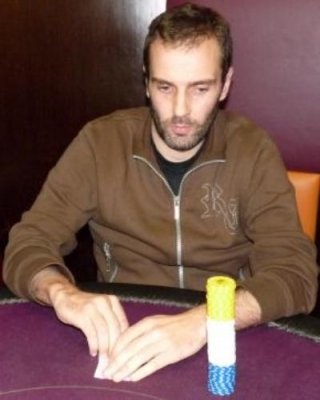 Laurent Polito came up with an aggressive playing style and eventually beat all his rivals in only 3 hours of play. Oddly enough, his blind level was pretty low when he entered the game. His clash against Czech man Michal Mrakes lasted about 2 hours and 30 minutes. Unbeatable, Frances Polito crushed Mrakes for another milestone achievement. This Brussels leg of the WPT National has seen Laurent Polito grabbing a whopping prize of  56,500. As a runner-up, Michal Mrakes would console himself with  39,500. As for Stieven Razab Sekh, he finished 3rd-place for  25,400.